While I’m still reeling from the news that this beautiful boy succumbed to West Nile Virus only days after taking this photo, I did capture something interesting that I thought I would share. The second photo captured the bird’s nictitating membrane sweeping across its eye. This see through membrane is found in birds to help moisten, clean and protect the eye – especially while in flight. 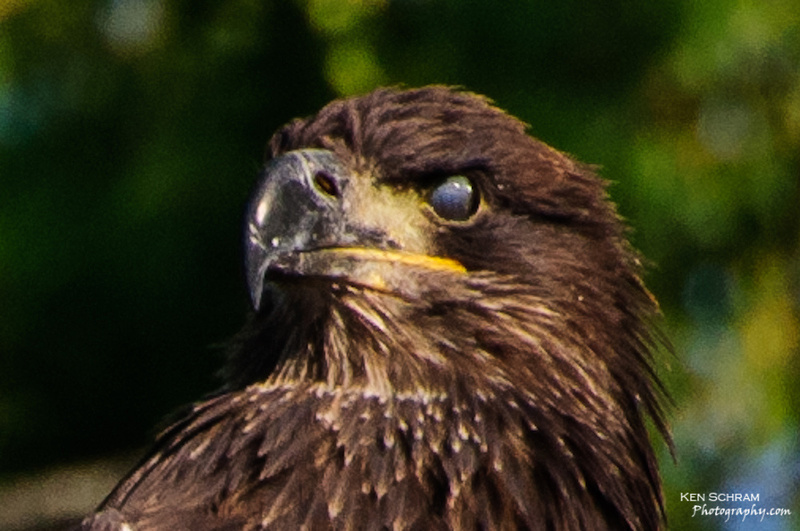 The eyes of a full grown adult eagle are approximately the same size and weight of an adult human’s. Their eyes occupy the majority of their skull cavity. An eagle’s retina contains 600,000 cones per square millimeter. That’s 4x more than a human allowing for incredibly sharp vision. While the human eye can see 3 primary colors, eagles can see 5. 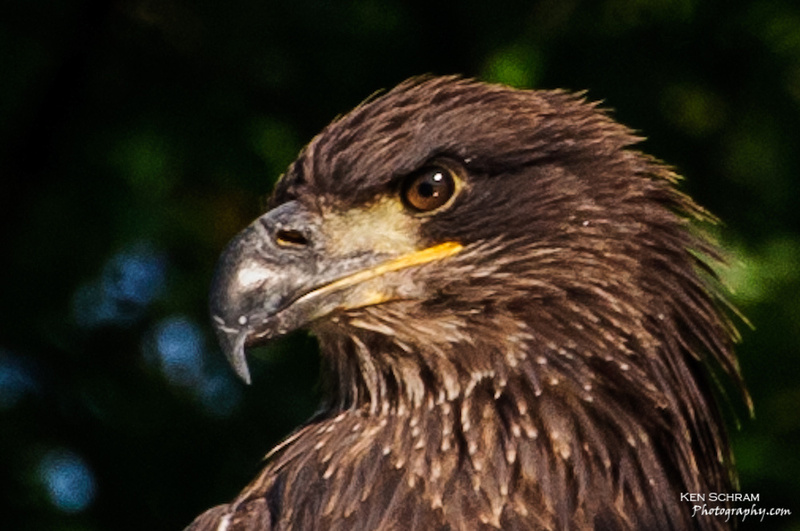 With the ability to rotate their heads far beyond the range of a human, eagles have a 270 degree field of vision. A young eagle’s iris is dark brown and eventually turns a bright yellow as they mature. Later in life, the iris turns a silver blue color. An eagle can spot a fish in the water from a distance of 3 miles. It can spot other eagles in flight from as far as 4 miles away. Where can I get a camera lens that can do that?